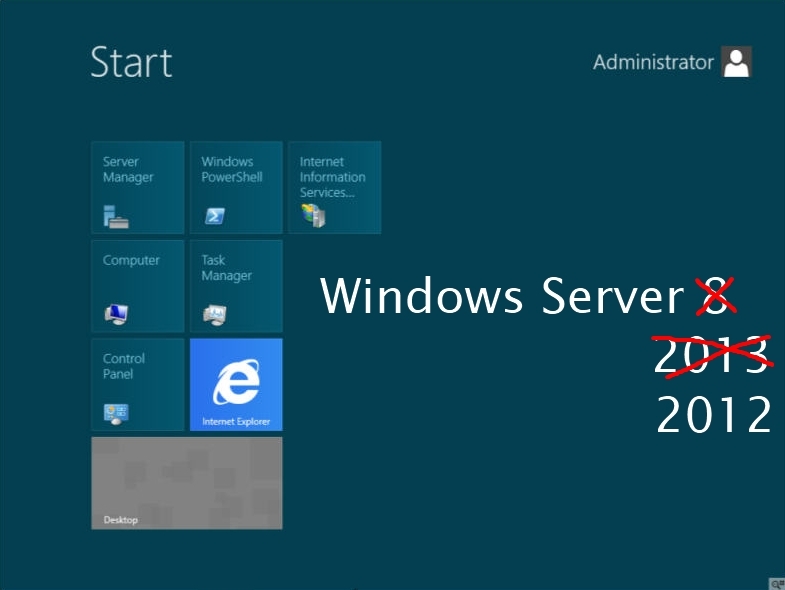 Windows Server 8 is categorically different than its predecessor versions. There’s an argument to say that it’s not actually Windows. It's pre-beta, and it's an enormous statement covering many positions on the chess board. Windows 8 Server editions are preferred to be run, according to Microsoft spokesperson last week, in Server Core format, although Windows GUI will be available if desired. Headless operation can also be used. It's just not Windows by default anymore, but instead, a "cloud operating system" specifically poised towards competing with VMware. I'm pretty sure that VMware's Paul Maritz would have been hung in effigy at the server workshop I attended last week (under heavy secrecy) if it could have been done. Each Windows 8 version can be strongly PowerShell-controlled, and optionally with traditional GUI. Microsoft’s lead server architect is also the “inventor” of the PowerShell scripting methodology, whose command list will exceed 2300 native commandlets in Windows 8. In a way, it’s Microsoft Server 8, and optionally Windows Server 8 and breaks Microsoft's naming convention, as well as Microsoft's established version release timing. No one would speculate when it would arrive, only that it was pre-beta and about to go beta-- but not feature complete. While seemingly radical for Microsoft, there is much pressure on operational efficiency, coupled to increasingly complex control options and infrastructure character of the operating system. Administrators familiar with Microsoft’s MMC won’t need to fret, as familiar contexts will remain for them, but the center-thrust of Windows Server administration was encouraged to be PowerShell-driven, rather than through the maze of administrative GUIs that have been the mainstay of Windows Server versions for nearly two decades. There are script-managing tools, and Microsoft has evolved a "community" sharing of PowerShell scripts and procedures designed to control Server in a way that's increasingly competing with Unix/Linux/BSD/Solaris scripting languages and procedures-- but in a distinctly Microsoft way. Underneath the control surface is Hyper-V, and Microsoft listed many features poised towards increasingly “automagic” functionality, although they tended to use the patented Steve Jobs phrase, “It just works”. Heavy attention towards ease of OS instance movement (along with requisite IP address management and resiliency options) within the constructs of cloud were mentioned in the early-stage release that will be available to developers and architectural analysts. Many of the items we saw in the reviewer's workshop were specifically poised towards side-by-side comparable features in VMware's latest version, vSphere 5-- recently released. Of course, underneath Server Editions will be Hyper-V. How the latest cut of Hyper-V will play atop other hypervisors remains to be seen. Indeed Microsoft called Windows Server 8 a "cloud operating system" but models weren't clear about IaaS, rather, they spoke to organizational PaaS as in the Azure model-- which to date has been slow to release and slow on the uptake. How business partners and MSPs would provide value seemed to be missing data. The cloud components fit a customer mold, we were told. How the Metro UI plays into the scheme of things appears to be a new layer-- the UI layer. Imagine for a moment where there's a user interface, and underneath application UI, there's a middleware layer that is a communications transport. In turn, there's a back-end that's designed to be application infrastructure, in a three-tiered model. Servers are the back-end substrate, busily doing work and getting shuffled around to meet demand. The entire Windows Server 8 is a markedly different endeavor for Microsoft, as radical as Windows 2000 was. Microsoft was fighting for server share back then, and reminded us that they believed we're looking at a third generation, and that Microsoft often takes three generations to get it right.